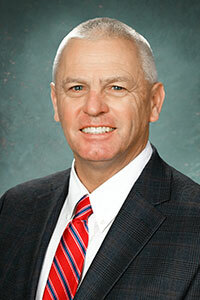 Sen. Jon Bumstead a lifelong resident of the 34th Senate District. He was born in Fremont and is a graduate of Newaygo High School and the Newaygo County Career Tech Educational Center Building Trades Program. He began his own construction firm 39 years ago and over the years, Bumstead Construction has built and remodeled many homes. In 2010, Bumstead was elected to represent the 100th District in the Michigan House of Representatives. He served three terms in the state House and was term limited in 2016. In that time, he served as vice chair for the House Committee on Appropriations, and was a member on several appropriations subcommittees. In 2018, he was elected to represent the 34th state Senate District, which includes the counties of Muskegon, Newaygo, and Oceana. Bumstead currently chairs the Natural Resources and Environmental Quality Appropriations subcommittee. The senator is also an avid sportsman. He is a member of the National Rifle Association, Michigan United Conservation Corps and is the former president of the Safari Club International’s Michigan chapter. He has hunted in Canada, the Artic, in northern Australia and in Africa. He’s also hunted in Alaska and all 48 states in the continental United States. Bumstead is also active in his community. He is a member of several Chambers of Commerce throughout the district, the Michigan Home Builders Association, among many other local groups. He also served as a volunteer firefighter with the Newaygo Area Fire and Rescue Command. He currently lives in Newaygo, with his new wife Cindi.